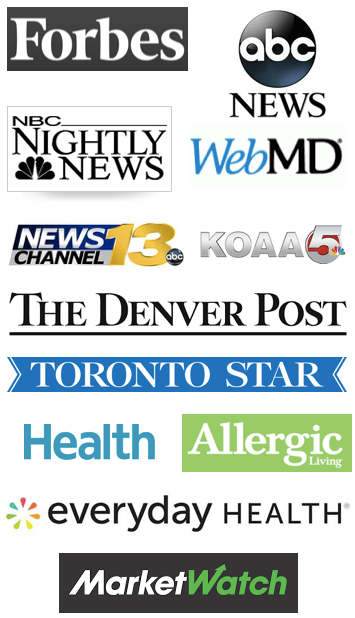 Have you been to the pharmacy recently to purchase an EpiPen 2-Pak? If you have a high deductible policy like our family does, you may need a nitroglycerin pill when paying for the prescription! We have an Anthem HSA (Health Savings Account) insurance policy with a high deductible. What this means is that we pay $4000 of a deductible before our insurance kicks in to cover any cost of prescriptions. This means that my son’s most recent prescription was going to cost us $600!! Yep, you’re reading that correctly. I thought this wouldn’t be an issue since Mylan is offering a $0 copay card that’s easy to find all over the Internet. However, the fine print states that the maximum amount of monetary coverage is $100. Therefore, Morgan’s prescription would still cost us $500. And we generally purchase two 2-Paks, a month apart, so that he always has one 2-Pak on his person, and the other 2-Pak is an extra set for his dorm room in college. That’s $1000 – of very important insurance – but it’s for a purchase that you hope to never have to use. And in fact, in the 19 years of having EpiPen Jr.’s and EpiPen’s prescribed, we’ve only used one autoinjector. It was certainly needed, and we were very grateful to have it. Yet there are many families who cannot afford to purchase even one 2-Pak of this drug at the current costs, and that’s dangerous. While this may be a wonderfully, cheaper alternative for some (depending upon your insurance coverage), this prescription was quoted by Anthem at $400 for a Two-Pack with our insurance. As most of you know, there is no other alternative currently since the Auvi-Q has been pulled from the market in a full recall of the device. We eventually purchased two EpiPen autoinjectors made by Meda (the European based pharmaceutical drug company that Mylan recently acquired) from Canada Drugs for $225. They were shipped to our home in a styrofoam package to ensure temperature stability, and had an expiration date 14 months into the future. Never did I think I’d be happy to purchase 2 EpiPens for such a high cost. What is going on with the cost of EpiPens? As I said before, we’ve been purchasing EpiPens for 19 years. Some years, we’ve had great insurance that covered the entire cost of several EpiPens. Other years, we paid $100 or less. It’s been only in the last few years that the price has been skyrocketing. Previous to 2011, I was able to purchase just one EpiPen at a time. In fact, it wasn’t until 2011 that Mylan began selling only the 2-Paks when the National Institutes of Health suggested that patients have immediate access to two doses of epinephrine. We always purchased an abundance of extra EpiPens (and Jr’s) to ensure we always had one at arm’s length, and the cost was rarely an issue. But for some people, purchasing just one EpiPen would be preferable to none – yet, this is no longer an option. The Affordable Care Act has certainly changed the nature of insurance, and thereby the cost of medical care for consumers. Depending upon your insurance company and coverage, you may not even be aware of the increase in the cost of EpiPens…or you may be selling off your couch to afford this vital medicine. From what I’m hearing from our insurance agent, more and more insurance companies are moving toward covering less and less of the costs of prescriptions. Then, there’s Mylan, the company that makes EpiPens. Mylan purchased the rights to manufacture the EpiPen in 2007 when the device had a wholesale price of $57, and the cost of the epinephrine in the device was about $1. 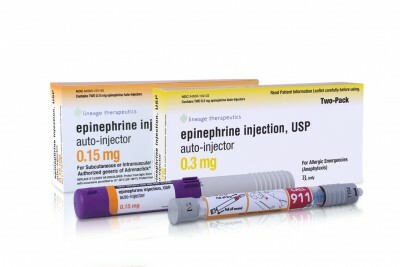 Mylan has increased the wholesale price by 400% since then, while the cost of the epinephrine remains at about $1. The spokespersons for Mylan will say that they don’t set the retail price, but any college business student can tell you that the higher the wholesale price, the higher the retail price. 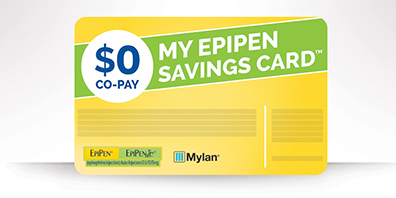 And if Mylan is counting on their $0 copay card to be the catch all for the price of an EpiPen 2-Pak, then they need to have the copay card be truly worth $600! For those families who don’t have the money to pay for an autoinjector, they will likely have to rely upon a school’s stock epinephrine. Yet, these cost increases also affect schools and emergency services who cannot afford to purchase the drugs, even if Mylan did give away devices for free in the first years after legislation was passed to allow stock epinephrine in schools. CNBC’s September 28, 2015 article, “Drug prices: Which companies may be the next targets?” pointed out that the price of EpiPens increased 27% , on average, each year between 2011 and 2015. The number of prescriptions rose 9.5%, on average, each year from 2011 to 2014. This made for an average increase of 42% per year of sales, to more than $1 billion. The EpiPen provides about 40% of Mylan’s operating profits says researcher ABR|Healthco. 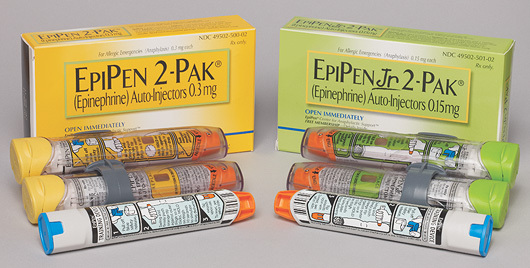 EpiPen margins were 55 percent in 2014, up from 9 percent in 2008, ABR|Healthco estimates. Marketing the EpiPen autoinjector has been CEO Heather Bresch’s key focus. In terms of market share, she’s basically got a monopoly. I anxiously await a viable competitor, which will hopefully bring the price of epinephrine autoinjectors down. Sadly, there aren’t any contenders on the horizon. I’ve seen several prototypes, but many require assembly, which would be extremely difficult to expect a Good Samaritan to be able to do in the middle of anaphylaxis. Mylan has not only been increasing the cost of EpiPens, but also several other generic medications that they manufacture. There is a point where the market will not allow this to continue. Congress has stepped in before (remember Martin Shkreli? ), so there’s always the option of writing your Congressional Representative and/or Senator to let them know how the price of EpiPens affects your family. I believe we are at a tipping point, but it’s going to take hundreds of thousands of us to make noise to get anything to happen. Lastly, there’s the CEO, Heather Bresch. Heather Bresch had a total CEO pay of $18.9 million in 2015 while shareholders saw a 4.1% decrease in returns. In the last year, the stock price has dropped 38%. 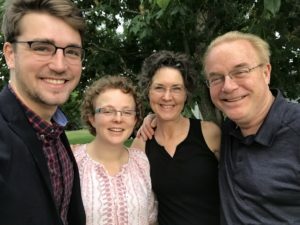 Don’t get me started on the faults in our US corporations that believe that any employee is worth that kind of money – especially when it’s based upon overcharging families for vital medication. So what’s your family going to do? Something needs to change, and soon, or we’re going to be hearing about children going into anaphylaxis with no EpiPen nearby because the family couldn’t afford to purchase a 2-Pak.